The district police arrested two caste-Hindu men on Sunday, for allegedly assaulting a Dalit woman who came to their farmland to attend nature’s call. According to police, in the wee hours of Saturday, two Dalit women- Tamilselvi and Sasirekha- went to a farmland in Thiruneermedu near Perur to attend nature's call. The owner of the farm Vijayakumar asked them not to enter his farm and accused them of stealing vegetables. On Sunday morning, their sister K Rajeshwari (38) from Anna Nagar in Perur went to the same farm land to attend nature's call. At that time, Vijayakumar along with three of his employees abused her using derogatory caste terms. They also allegedly assaulted her with a wooden log and snatched her 4.5-sovereign gold chain and a mobile phone. The woman was admitted to Coimbatore Medical College Hospital for treatment. Based on a complaint from Rajeshwari, Perur police registered a case against Vijayakumar and three of his employees- N Saminathan (39) from Erimedi in Perur, K Prabhu (23) from Aathur in Dindigul and Jambu. They were booked under sections 294(b) (obscene acts and songs), 323 (punishment for voluntarily causing hurt), 324 (voluntarily causing hurt by dangerous weapons or means), 354 (assault or criminal force to woman with intent to outrage her modesty) of Indian Penal Code and various sections of the Scheduled Caste and Scheduled Tribes (Prevention of Atrocities) Act. Police arrested Saminathan and Prabhu and remanded them in prison. They have launched a hunt for the other two accused. District police have also registered a case against five Dalits, based on a counter complaint filed by a caste Hindu woman. 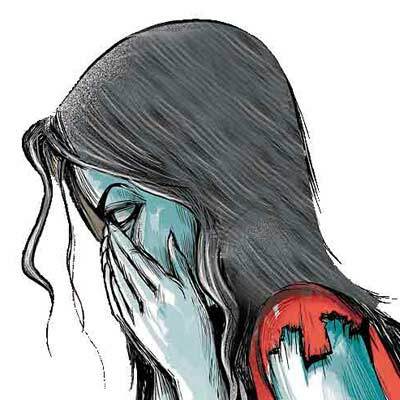 According to the complaint, while Saminathan’s wife Mariya Chinnammal (32) from Thiruneermedu Thottam in Perur was taking her son to a salon, five persons waylaid her and allegedly assaulted and threatened her. Based on the complaint, Perur police registered a case against V Sathiyareka, K Rajeswari, A Tamilselvi, S Muneeswari and Manikandan under sections 147 (punishment for rioting), 294(b) (obscene acts and songs), 341(punishment for wrongful restraint), 323 (punishment for voluntarily causing hurt), 447, 506(i) (punishment for criminal intimidation) of IPC. Further inquiries are on.